The huge news in all things web this week is Alphabet! Google co-founder Larry Page announced the creation of the new parent company to represent the collection of all the other companies Google has founded since its inception. Google will be the largest of the companies under the Alphabet umbrella—it is now a wholly-owned subsidiary of Alphabet. All of Google’s stock will automatically convert to shares in the Alphabet holding company (though the stock's name will remain unchanged). Currently, Google is using the @alphabetinc Twitter handle but will surely acquire whatever they can - because they are still Google, essentially. The holding name may have changed, but the dominance does not. Why make the move to Alphabet Inc? 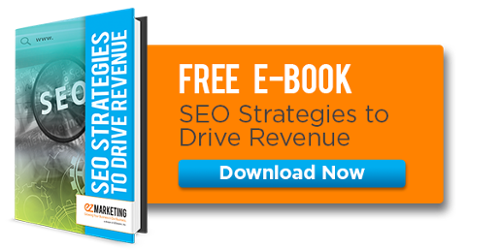 Google was already a household name, so why make the move? Were they becoming too much of a monopoly? Some say that they own over 90% of the search engine market share, despite reports from Comscore stating they only get around 64% in their July report. The big G has a ton of projects that they are working on, and it seems that they want to separate them from their Google brand and put them under the Alphabet name. Google has something close to $65 billion in cash, but the holdings of the whole brand make it the third largest company in the world, with a value of $368 billion. This means totally rebranding Google itself or its core products simply wouldn't make sense. 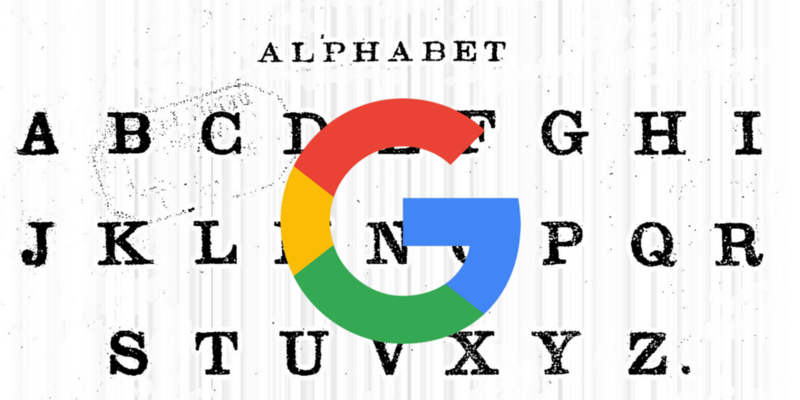 Page has said the intention is not to create a huge new consumer brand called Alphabet - rather, it's to give the various projects Google has begun over the years a greater degree of autonomy from Google itself. For instance, they are working on contact lenses as Life Sciences that monitor blood glucose levels, and they have a wing drone delivery program similar to what Amazon is working on. They also own Calico Labs, a research and development company that is trying to increase the human lifespan. Google Fiber is still testing in certain cities, but they will eventually expand it across the country. 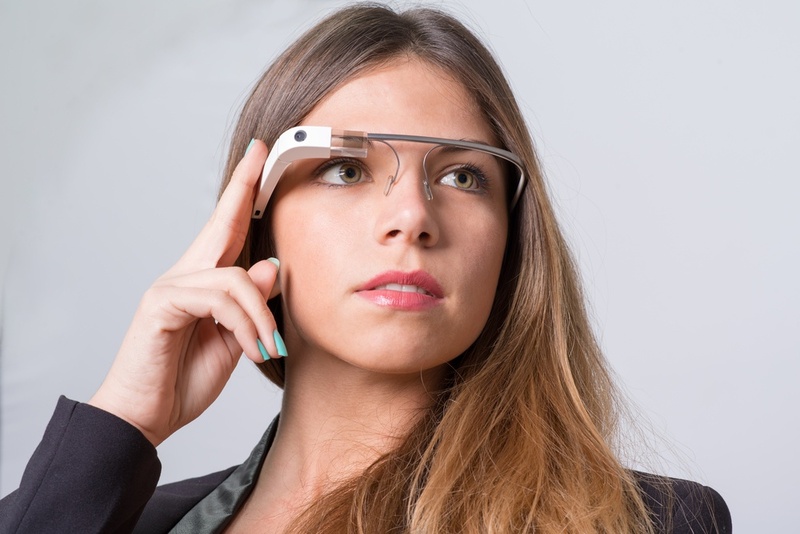 Google X is a combination of forward-thinking projects like creating auto-driving cars, reviving Google Glass, and giving the world the internet by the way of balloons. Co-founders of Google, Page and Sergey Brin, are now stepping into lesser roles at Google. Page is now the CEO of Alphabet, with Brin becoming the President. Sundar Pichai now takes over the role of CEO at Google. How does Alphabet change the search industry? Essentially, you will still "Google" whatever you are looking for, so nothing really changes there. 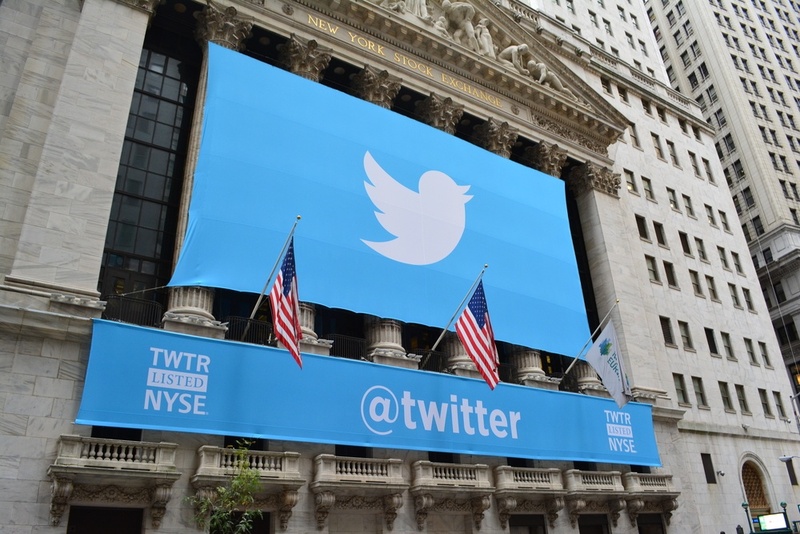 What this could mean, though, is that Google is preparing to finally buy Twitter, which has long been a rumor among the online media outlets. Recently, Google decoupled YouTube accounts from Google+, demonstrating that they may be distancing themselves from their own flagging social network. Last month Twitter quietly removed background images from its user profiles, indicating a shift that many speculated would pave the way for bigger changes. Because Twitter has never been able to turn a profit, a partnership between them and Google - under Alphabet - may look like a win-win situation for all involved. Marshall Simmonds also speculated at MozCon several weeks ago that something big was going to happen between Google and Twitter around the end of the summer. So this move would make sense now that Alphabet serves as the holding company under which both Google and Twitter can coexist without brand conflict. In a smart and humorous move, Bing may have had a little fun with the move that Google made. In response to Alphabet's site at abc.xyz and Page's big announcement, Bing apparently bought up abc.wtf and redirect it to Bing.com. While it's not certain that Bing was definitely the party behind the joke, many are predicting it was. Well played, Bing, well played. 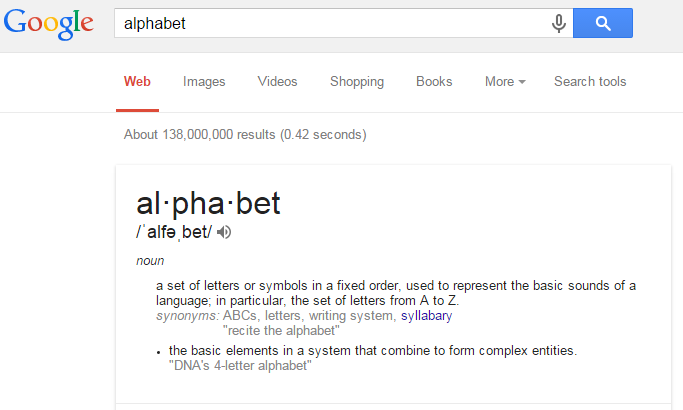 Also, the SEO community was in a bit of an uproar about Alphabet's new site. When you first visit the homepage, it doesn't seem like there is much text to be read (remember "thin content"?). A click on more drops down plenty of content though. Google even pokes a little fun at itself by hiding a link in a period after "our drone delivery effort" which links to Hooli.xyz. Hooli is the fictitious company name used to make fun of Google on HBO's show, Silicon Valley. The SEO community is calling Google out for their link cloaking, but it is quite obvious they are just poking fun at themselves. So will Google penalize Alphabet for violating their own terms of service? Probably not. Give it a couple weeks and when you search for '"alphabet" you probably won't be seeing the schema markup for the definition of the word. While becoming a conglomerate (not unlike like GE or Berkshire Hathaway) makes good business sense for Google as the company expands, little will change for the daily user as the company moves its various brands and products to Alphabet subsidiaries. Other than the new name, it is still business as usual for Google. At least for now. The bigger question is, "What's next?"